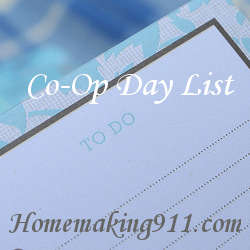 Even though we homeschool, one day per week we have co-op classes that the children attend. Here is our new checklist for that busy morning. David’s Backpack including French, Hip Hop and Boys Club stuff.